This casemate was intended for 9 inch gun. 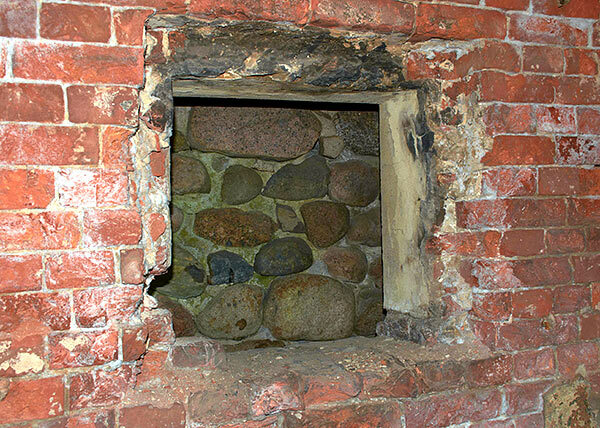 There was an embrasure with granite coating in the front wall. 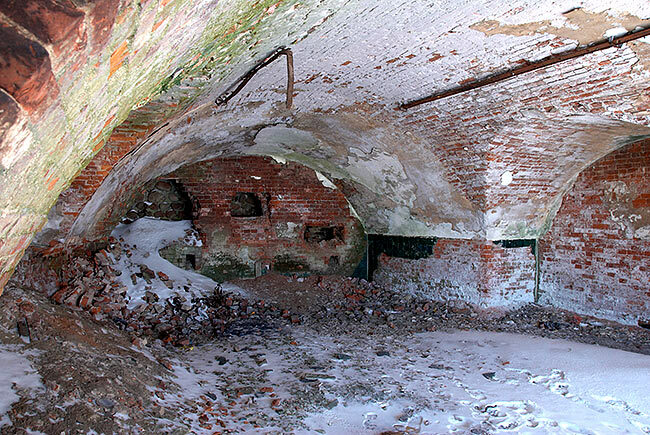 It was walled up with rubble stones and bricks in 1870-th during artillery rearmament and casemate was converted into powder magazine for the new guns.